The topic of cats, the third bullet will come! 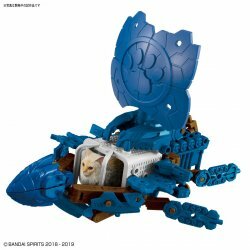 Four sets of exterior parts and a large set of cats that you can not get without this set. Fango is in charge of Mr. Tadanori Nijo who is working as an illustrator / manga ..
Fango is in charge of Mr. Tadanori Nijo who is working as an illustrator / manga artist. Cat is a newly shaped long hair type cat. The jacket is also a new shaped laundry basket type, the handle is movable. Medium Height A ~ D It is a very "set of boat" set containing soul parts parts and bonus parts. The parts are exclusively for boat height. Includes a separator that allows easy removal of parts.